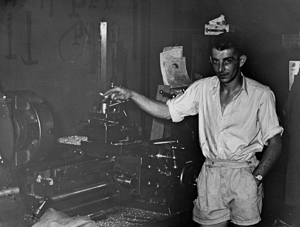 McIntosh Bros was established in 1951 by brothers Bryant and Bill McIntosh. Starting as a engineering company doing jobbing and repair work in the region. 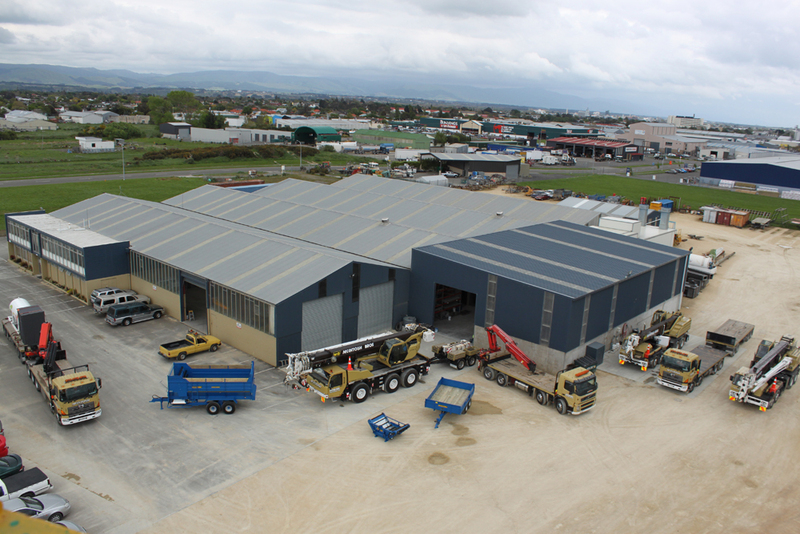 They quickly moved into building farm machinery and in 1960’s they purchased land and erected a purpose built engineering workshop on the outskirts of Palmerston North by the main trunk line. 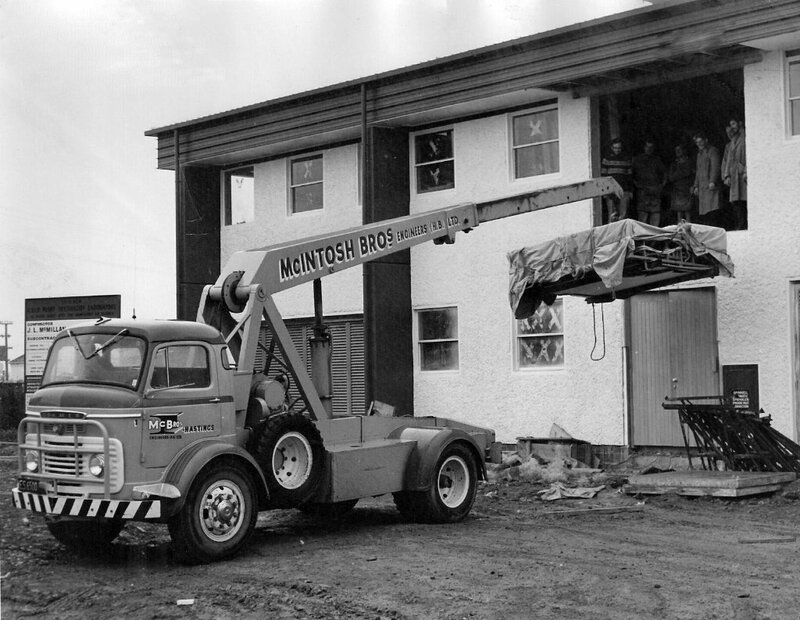 The Crane Division was started in 1961 after it was decided to design and build their own crane to help lift stock crates they were manufacturing. The 5- ton capacity crane was non-slewing with a manual pin-jib boom. This was followed shortly after by a similar crane but this time with a hydraulic extension on the boom and the ability to slew thanks to a slew ring formerly fitted to a bren gun carrier. These cranes were used onsite in the engineering plant and also hired out locally around the region. Two other brothers joined the company in the 60’s and 70’s. 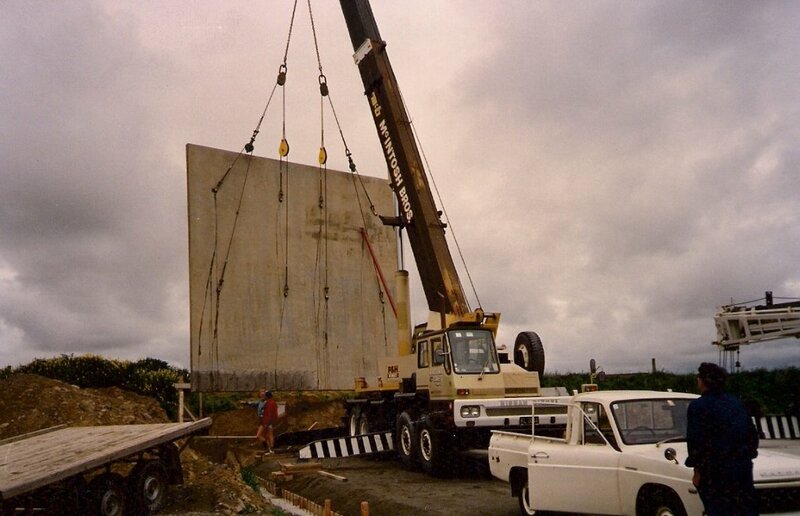 Gary McIntosh ran a newly formed Engineering branch in Hastings, and Peter as a Crane Operator in Palmerston North. Peter went on to being the Crane Dispatcher, while Garry moved back to Palmerston North when it was decided to close down the Hastings Branch and focus on Palmerston North. 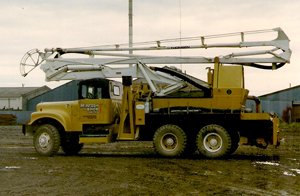 Crane and engineering work developed and it was in 1974 when Bill and Bryant purchased a 20 ton Kato Crane (their first hydraulic unit) and put it onto a crane carrier they had built themselves. 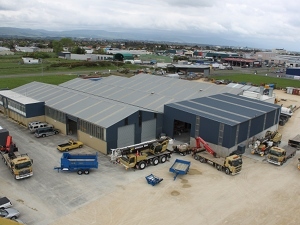 To keep up with the servicing of the Manawatu regions needs they quickly added another 20 Tonne Kato and 11 Tonne unit. The 1975 saw Bills involvement in the foundation of the Crane Association of New Zealand. He was elected onto the first council, was President for the Association from 1981-1983 and was elected a life member in 1989. In total he spent 18 years with the association and is seen as a stalwart within the association. 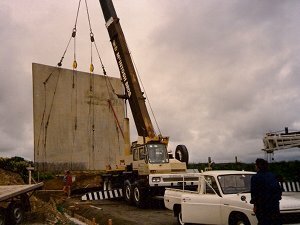 A 50 tonne PH Crane was added in 1982, with the focus now on buying complete Crane units. The second generation entered the company in 1987 with both of Bills sons, Craig and Brett, joining the business after gaining experience in the engineering and financial fields. 1994 saw Bryant brought out of the business due to health issues. His dedication and commitment to the partnership with Bill had been instrumental to the company’s success. Over the next decade the father and sons team continue to build the Crane fleet diversifying into truck mounted cranes and truck and trailer units. 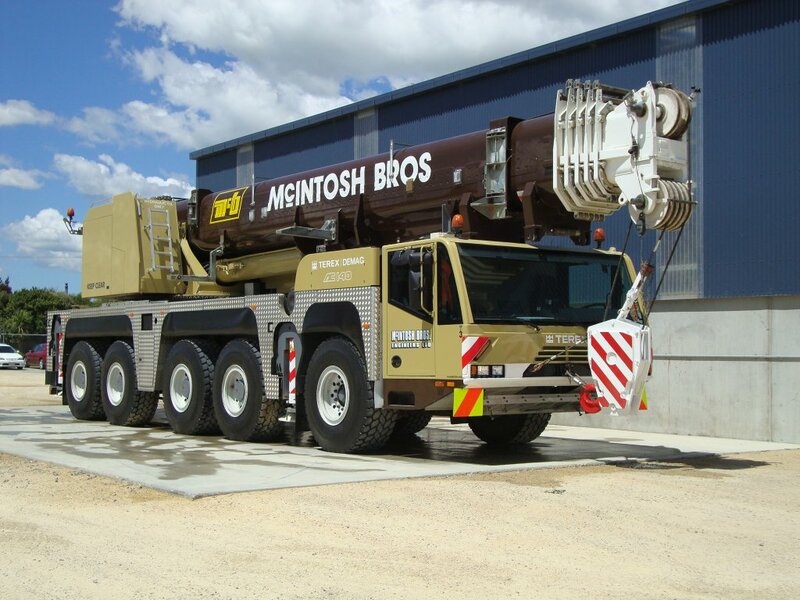 Additions to the fleet have continued as work loads have demands for larger cranes. The company now have complete lifting and transporting solutions for all their client needs. In 2005 the company purchased a 140-tonne-capacity Terex Demag hydraulic all–terrain crane which was seen as an investment in the future for both the company and industry in the region. 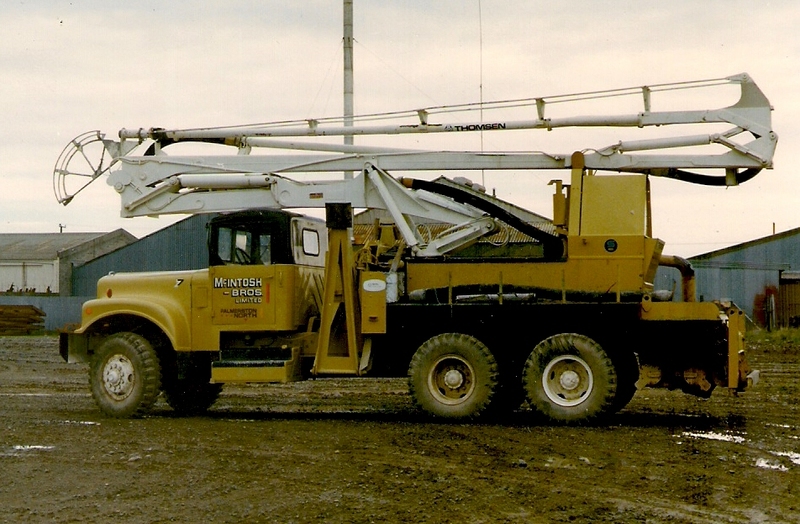 This enabled them to provide the surrounding Wind Farms with a larger capacity crane needed for ongoing maintenance requirements for the turbines. In 2008 the company had expanded it’s Farm Machinery Division to such an extent that it was decided to move to a larger site in Armstrong Street. Both sides of the company would now work from this new site. The celebration of 60 years in business occurred in November 2011 with many long term clients attending the event. A framed original 1951 handwritten charge out sheet was presented to Bill. In 2011, Brett’s son Scott joined the business being involved in marketing (BCOM Otago) and is also fully trained as a Hiab and Crane Operator. The company added a 350-tonne-capacity Terex Demag hydraulic all–terrain crane unit to its fleet. It has come from the mining region in Australia along with the nickname "Big Bill" which the company has decided to keep in recognition of it's founding director, Bill McIntosh. "Big Bill" completed it's first lift on 30th February at The Foxton Beach Boat Ramp launching the "Guru" a 30 metre purpose built boat by Profab Engineering. McIntosh now manage a fleet of 9 Cranes, 3 Hiabs and Truck and Trailer Units. A key to the success of the company is their attention to providing customers with a premium quality service.